A replacement 3" waste valve with a metal handle. Includes hardware to install. 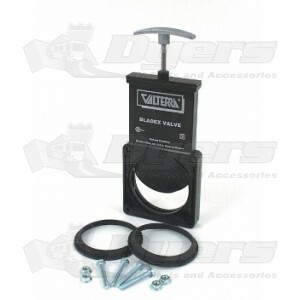 Bladex valves are interchangeable with Valterra, Grentec, Anonda, Larden, and Bristol. Threaded handles for easy replacement. Chemically Resistant Santoprene seals for positive leak protection. Quality product, reasonable pricing and had factory fit. Shipping was fast and reasonable.